El objetivo de esta investigación ha sido analizar de forma general y comparada entre España e Hispanoamérica el uso que los estudiantes universitarios realizan de los dispositivos digitales móviles con fines educativos y sociales. Se analiza una muestra total de 886 estudiantes (442 españoles y 444 hispanoamericanos) correspondientes a cinco instituciones universitarias españolas y cinco hispanoamericanas. La metodología de investigación se desarrolla a través del análisis factorial y la comparación inter-grupos mediante pruebas no paramétricas. Los resultados generales en ambas zonas geográficas muestran que el uso educativo se concentra principalmente en el empleo de la tableta y el ordenador portátil para la búsqueda de información académica, el estudio y la consulta de servicios universitarios. Asimismo, las diferencias más significativas entre estudiantes españoles e hispanoamericanos muestran que en España se utiliza más la tableta y el “smartphone” para el estudio y en Hispanoamérica, el ordenador portátil. Doctor en Ciencias de la Educación con Premio Extraordinario (UNED). Dpto. Didáctica. Organización Escolar y Didácticas Especiales. Ahmed, S., & Parsons, D. (2013). Abductive science inquiry using mobile devices in the classroom. Computers & Education, 63, 62-72. Barbosa, J.L., Barbosa, D.N., & Wagner, A. (2012). Learning in Ubiquitous Computing Environments. International Journal of Information and Communication Technology Education, 8(3), 64-77. Bartholomew, D.J. (1987). Latent Variable Models and Factor Analysis. New York, NY: Oxford University Press. Bedall-Hill, N., Jabbar, A., & Al Sheri, S. (2011). Social mobile devices as tools for qua- litative research in education: iPhones and iPads in ethnography, interviewing, and design-based research. Journal of the Research Centre for Educational Technology, 7, 67-89. Bernstein, I.H., Garbin, C., & Teng, G. (1988). Applied Multivariate Analysis. New York, NY: SpringerVerlag. Burbules, N. (2012). Ubiquitous Learning and the Future of Teaching. Encounters, 13, 3-14. Cope, B., & Kalantzis, M. (2009). Multiliteracies: New literacies, new learning, pedagogies. An International Journal, 4, 164-195. Delfino, M., Dettori, G., & Lupi, V. (2009). Task-based learning and ICT: creative acti- vities in the context of a European project. eLearning Papers, 16, 1-11. Dublin Descriptors (octubre, 2004). Shared “Dublin” descriptors for the bachelor´s, master´s and doctoral awards. Trabajo presentado en el Joint Quality Initiative, Dublin. El-Hussein, M. O. M., & Cronje, J. C. (2010). Defining Mobile Learning in the Higher Education Landscape. Educational Technology & Society, 13(3), 12-21. Fombona, J., Pascual, A., & Amador, F. (2012). Realidad Aumentada, una evolución de las aplicaciones de los dispositivos móviles. PixelBit, 41, 197-210. Fombona, J., Goulao, M. F., & García, M. (2014). Melhorar a atratividade da informação a través do uso da realidade aumentada. Perspectivas em Ciencia da Informaçao, 19(1), 37-50. Frohberg, C., Göth, C., & Schwabe G. (2009). Mobile Learning projects, a critical analysis of the state of the art. Journal of Computer Assisted Learning, 25(4), 307-331. Garcia Mendoza, G.A. (2014). A comparative study of computer and mobile phone- mediated collaboration: the case of university students in Japan. Mobile Learning Applications in Higher Education. RUSC. Universities And Knowledge Society Journal, 11(1), 222-237. Hair, J. F., Anderson, R.E., Tatham, R. L., & Black, W. C. (1988). Multivariate Data Analysis. New Jersey, NJ: Prentice Hall. Johnson, L., Adams Becker, S., Estrada, V., & Freeman, A. (2014). NMC Horizon Report: 2014 Higher Education Edition. Austin, TX: The New Media Consortium. Johnson, L., Adams Becker, S., Estrada, V., & Freeman, A. (2015). NMC Horizon Report: 2015 Higher Education Edition. Austin, TX: The New Media Consortium. Islas-Carmona, J.O. (2008). El prosumidor: El actor comunicativo de la sociedad de la ubicuidad. Palabra Clave, 11(1), 29-39. Keengwe, J. (2015). Promoting active learning through the integration of mobile and ubiquitous technologies. Hershey, PA: IGI Global. Kinsella, S. (2009). Many to One: Using the mobile phone to interact with large classes. British Journal of Education Technology, 40(5), 956-958. McLeod, L.D., Swygert, K.A., & Thissen, D. (2001). Factor analysis for items scored in two categories. En D. Thissen & H. Wainer (Eds. ), Test scoring (pp. 189-216). Mahwah, NJ: Lawrence Erlbaum. Muyinda, P.B., Lubega, J.T., & Lynch, K. (2010). Unleashing mobile phones for research supervision support at Makerere University, Uganda: the lessons learned. Interna- tional Journal of Innovation and Learning, 7(1), 14-34. Norris, C., Hossain, A., & Soloway, E. (2011). Using smartphones as essential tools for learning: A call to place schools on the right side of the 21st century. Educational Technology, 51(3), 18-25. Nunnaly, J., & Bernstein, I. (1994). Psychometric Theory. New York, NY: McGraw-Hill. Oulasvirta, A., Wahlström, M., & Ericsson, K.A. (2011). What does it mean to be good at using a mobile device? An investigation of three levels of experience and skill. International Journal of Human-Computer Studies, 69, 155-169. Sevillano, M.ªL., & Vázquez-Cano, E. (2015). The impact of digital mobile devices in Higher Education. Educational Technology & Society, 18(1), 106-118. UNESCO (2013). UNESCO Policy Guidelines for Mobile Learning. Paris: United Nations Educational, Scientific and Cultural Organization. Vázquez-Cano, E. (2012). Mobile learning with Twitter to improve linguistic competence at secondary schools. The New educational Review, 29(3), 134-147. Vázquez-Cano, E., Fombona, J., & Fernández, A. (2013). Virtual Attendance: Analysis of an Audiovisual over IP System for Distance Learning in the Spanish Open University (UNED). 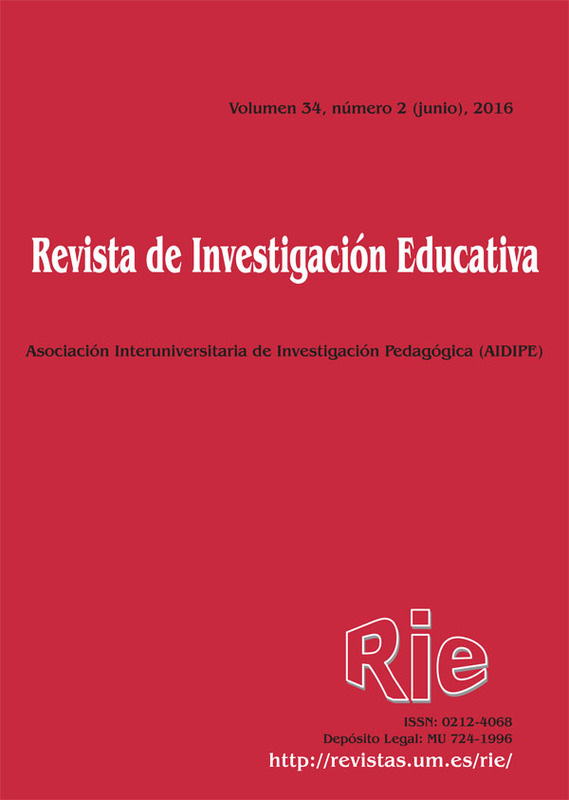 The International Review of Research in Open and Distance Learning (IRRODL), 14(3), 402-426. Vázquez-Cano, E., & Sevillano, M. (2014). Analysis of the didactic use of tablets in the European Higher Education Area. RUSC. Universities And Knowledge Society Journal, 11(3), 63-77. Vladar, A., & Fife, E. (2010). The growth of mobile social networking in the US. Intermedia, 38(3), 30-33.